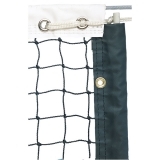 The Champion Sports 3mm Tournament Tennis Net boasts double braided polyethylene netting, a 2.5" double reinforced headband, 6 rows of heavy nylon stitching, and a 6mm vinyl coated steel cable. 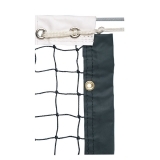 The net also features a taped nylon bottom with side pockets and dowels. 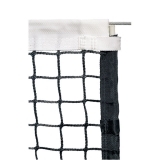 The Champion Sports 3.6mm Tournament Tennis Net boasts double braided polyethylene netting, a 2.5" double reinforced headband, 8 rows of heavy nylon stitching, and a 6mm vinyl coated steel cable. 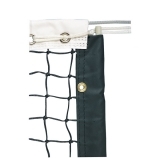 The net also features a taped nylon bottom with side pockets and dowels. 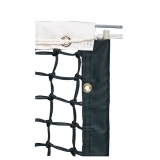 Carry your tennis supplies to the court with the new Champion Sports All-Terrain ABS Racket Cart. Made of sturdy ABS plastic, the cart provides smooth mobility over any surface with heavy-duty wheels. 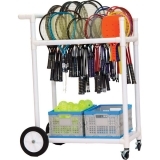 Neatly store and transport rackets and paddles on the hanging rack,and put your tennis balls, shuttlecocks and other accessories in the two durable plastic baskets. This cart assembles in minutes, and can be used indoors or outdoors. 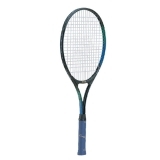 Champion Sports has a variety of tennis rackets to offer, whether you're a beginner or hoping to be the next tennis champion.This midsize head tennis racket features a wide body construction, aluminum frame, nylon strings, and a leather grip. Champion Sports has a variety of tennis rackets to offer, whether you're a beginner or hoping to be the next tennis champion. 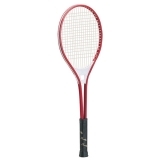 This midsize head tennis racket features a wide body construction, 24" aluminum frame, nylon strings, and a leather grip. Champion Sports has a variety of tennis rackets to offer, whether you're a beginner or hoping to be the next tennis champion. 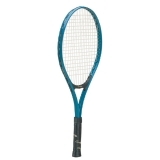 This midsize head tennis racket features a wide body construction, 21" aluminum frame, nylon strings, and a leather grip. Champion Sports has a variety of tennis rackets to offer, whether you're a beginner or hoping to be the next tennis champion. 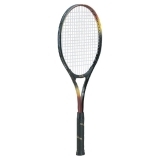 This oversize head tennis racket features a wide body construction, aluminum frame, nylon strings, and a leather grip. Champion Sports has a variety of tennis rackets to offer, whether you're a beginner or hoping to be the next tennis champion. 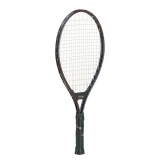 This tennis racket features an all aluminum frame, nylon strings, and a leather grip. Champion Sports has a variety of tennis rackets to offer, whether you're a beginner or hoping to be the next tennis champion. 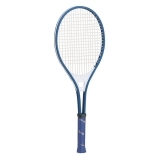 This standard size intermediate tennis racket features a 25" all aluminum frame, nylon strings, and a leather grip.